InZone5 is truly inspired by the diversity and vitality of fitness in Singapore. Ranging from Yoga to bootcamps, tennis to triathlon – Singapore really has it all happening. However, our unforgiving climate shows up poor performing activewear, hindering an athlete’s performance. Our mission is to bring you the very best in activewear. We select brands that create high-performing stylish apparel that work in this climate. We look for breathable technologies, super lightweight fabrics and stylish designs, to meet the needs of performance-focused and style-conscious women and men in Singapore. For more details please visit www.inzone5.com with clients of COS Coaching receiving an exclusive discount of 10% on full priced items. 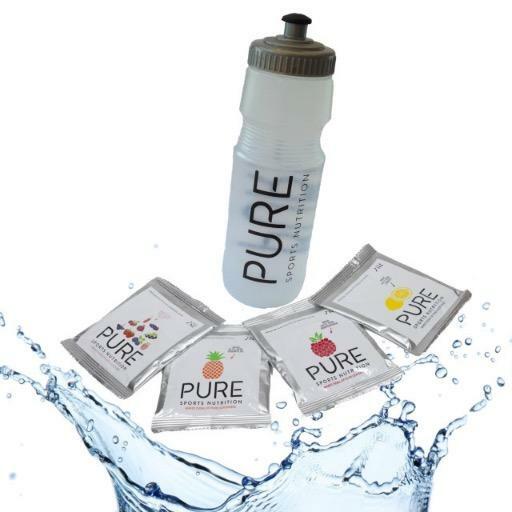 PURE are passionate about Natural Sports Nutrition. It is important to PURE, that they only manufacture innovative and healthy products. PURE care about what goes into our bodies during exercise. It takes a lot of time and effort, designing and refining. ‘Good’ products are easy to make but ‘Great’ ones take much longer. You really need to care about what you are creating and focus on every area of the product from the best ingredients to the perfect formulation. For more details please visit www.drinkpure.com.sg with clients of COS Coaching receiving an exclusive discount of 20% on full priced items. The Primal Pantry’s purpose is to provide a range of tasty nutritious foods, which fully compliment a paleo lifestyle, free of any grains, dairy, refined sugars and vegetable oils and always made with 100% natural GMO free ingredients. THE PRIMAL PANTRY BARS ARE SUITABLE FOR VEGANS, VEGETARIANS & CAVEMEN (AND WOMEN)! For more details please visit www.primalpantry.com.sg with clients of COS Coaching receiving an exclusive discount of 20% on full priced items. Fahrenheit Performance offer regular and clinical bike fit services. If a traditional bike fit is fitting the bike to the body, a clinical bike fit also fits the body to the bike. During the functional assessment if there are any pathologies that can be facilitated through physiotherapy then it will be done prior to the start of the on-bike analysis. At times the bike needs adjustments and other times it is the body that needs adjusting. They team up a bike fitter and a physiotherapist to determine the best fit so the body and bike can work as efficiently as possible. For more details please visit www.fahrenheitperformance.com with clients of COS Coaching receiving a discount on the services provided.